One of my bucket list for 2018 will be camping! and it got ticked off the bucket list last week! 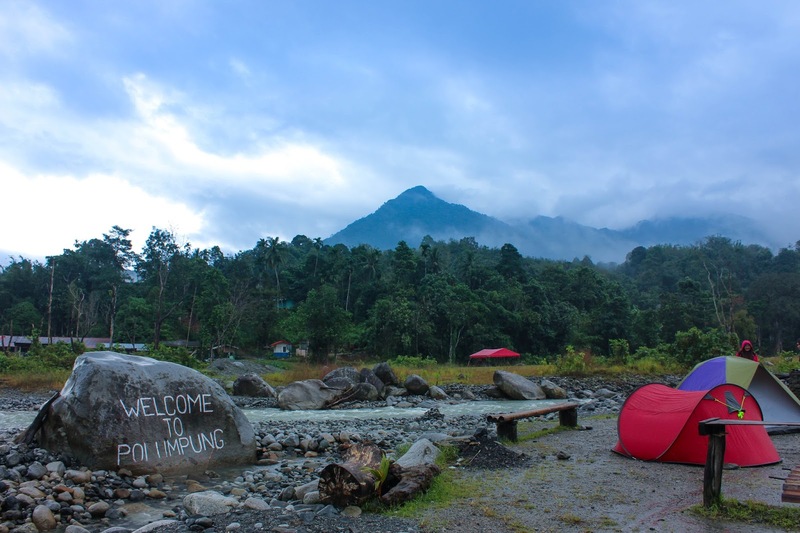 Polumpung Malangkap Camp Site located at Kota Belud is a great place to unleash your outdoor adrenaline! 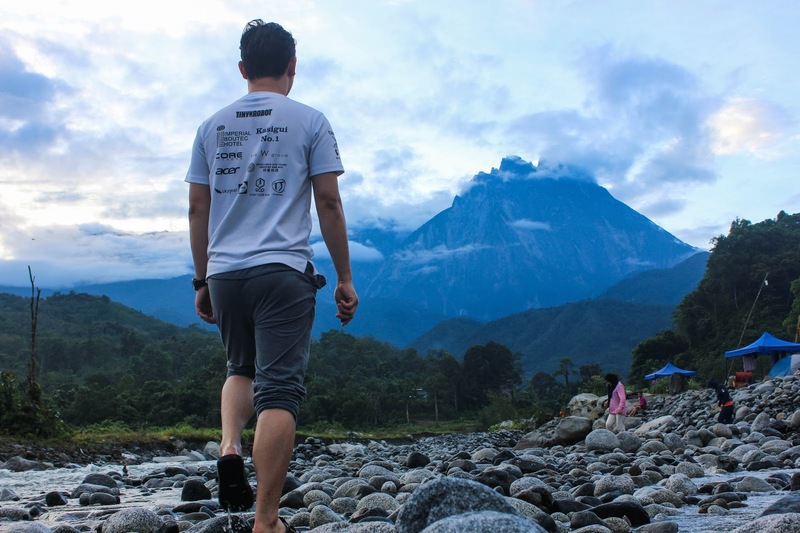 Located 50 km from KK city, it only took 2 hours drive to this campsite and I am blessed to able to experience this activity.
" 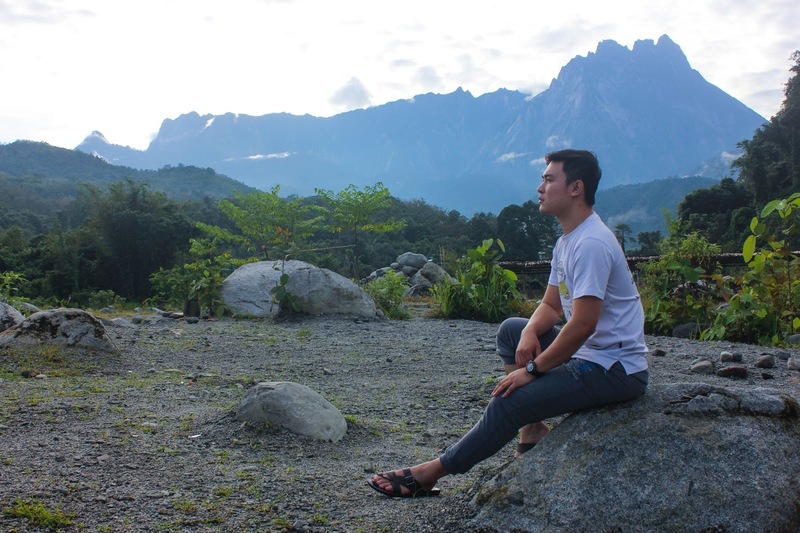 Malangkap Homestay". 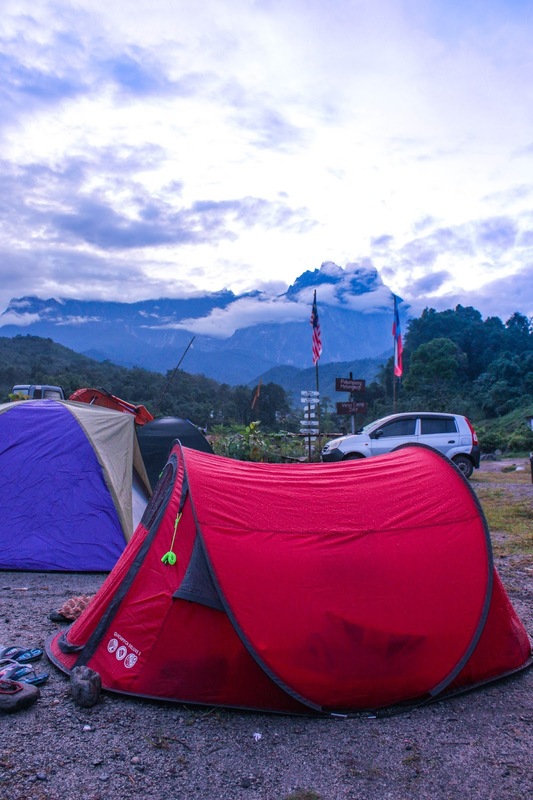 Approximately around 30 minutes or so, you will reach to the campsite from KB main junction. You can use Waze or google maps. 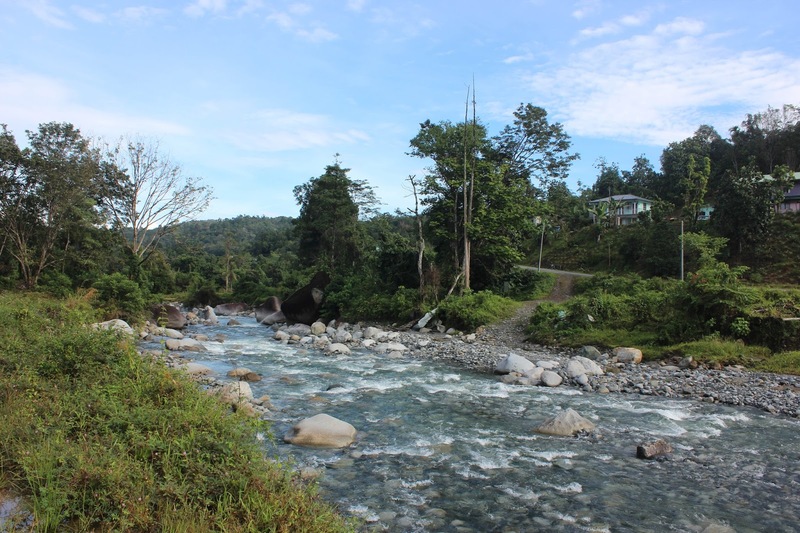 There will be a giant clear sign on the left side of the road stated "Polumpung Malangkap View Camp View Site". Don't be confused when you saw one house near the entrance, probably that is the campsite owner house. Very friendly! P/ S: All tools like for cooking and sleeping materials, I bring from home. We arrived at the site almost 3.00 pm and the weather was not on our side on that day. The rain was pouring hard and that's where large tent comes in handy, really safe our small tent. I believe the father to the owner was so kind to lend us table & chair and give us a great deal for a large tent. So basically, our small tent (individual tent) was camp under one large tent to protect from hard rain and wind. 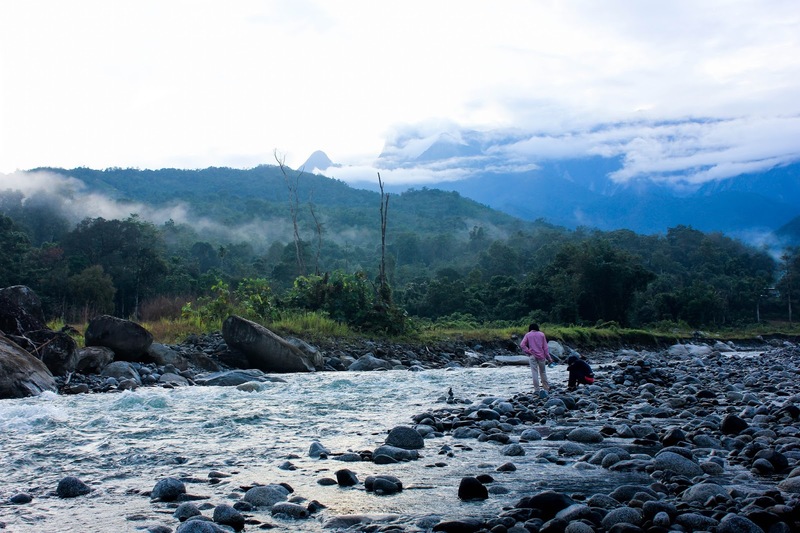 Even though the rain has stopped and it was freaking cold, it doesn't stop us to experience the clear water of Malangkap river. The water is clear and cold but careful with the rocks. To me, it was so overwhelming to see somewhere something still beautiful and clean! We cook our own meal, very simple - Rice, Tons of can foods, instant noodle, just good enough to get through the night (i guess). Other guests have their barbecue, singing and so forth while us, chit chatting under the stars. Life. What I like the most - the sound of the river flowing few steps away from where you were sleeping. Magical. 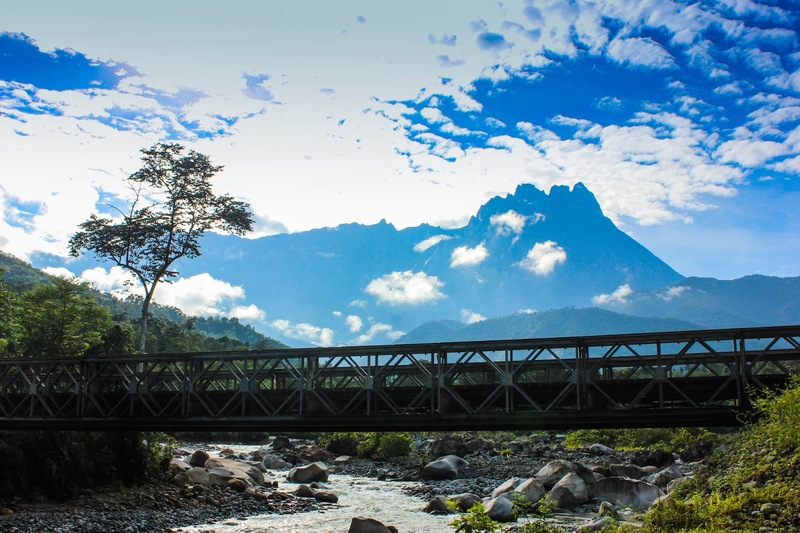 The early morning view with majestic Mt Kinabalu as a backdrop is a million dollar view. Simply beautiful.Take a walk along the river with warm coffee. Overall, camping at Polumpung has been a relaxing experience. If you willing to get out from your usual bed then this will good for you. Not cost you that much. Tips? Bring water supply, light sweater, own blanket, and your rest pillow. Charge your phone and power bank to the max and no worry for Celcom & Maxis users, the internet and line are steady but not for Digi. To find out more, please go to their Facebook Page: Polumpung Malangkap View Camp Site. Traveling has been one thing that I really want to do. I believe that life is not limited to one place, be out there and make memories. Minimalist traveler. Enjoy exploring new places, different people, cultures & foods. This little personal website or blog, just to share my experience and perhaps inspire all of us to do more than we think we can. Thank you for stopping by. PLACES TO VISIT WHILE IN LABUAN, SABAH.